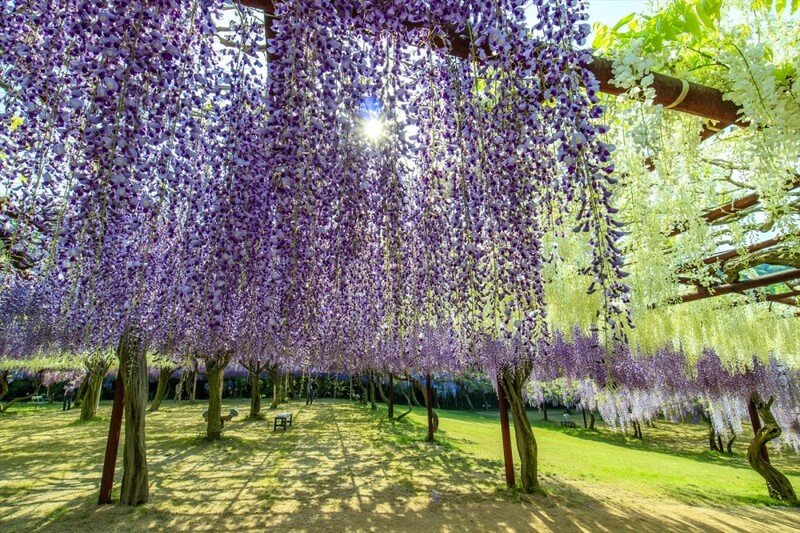 Fuji Park (Fuji Wisteria Park) is famous for its 100 varieties and 150 different fuji (Japanese wisteria) plants, gathered from all over Japan, hanging down from above in blooming purple tufts. 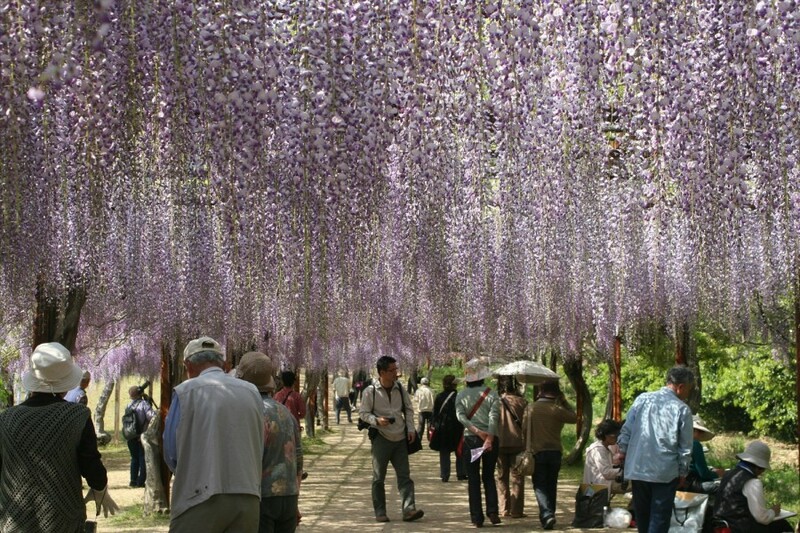 The park’s 500 m long wisteria tunnel envelops visitors in a sweet scent and looks like a purple waterfall. 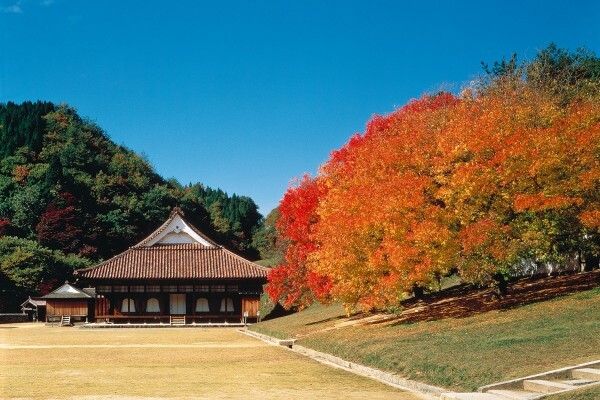 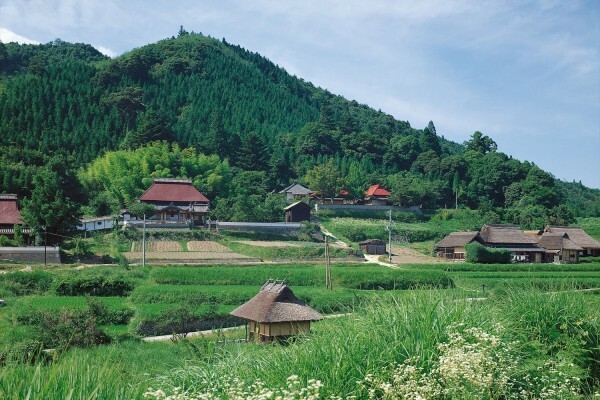 Many tourists flock to the park from late April to early May, when the flowers are in bloom. 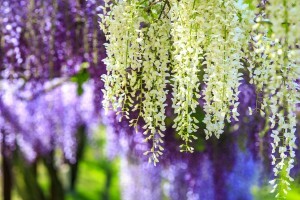 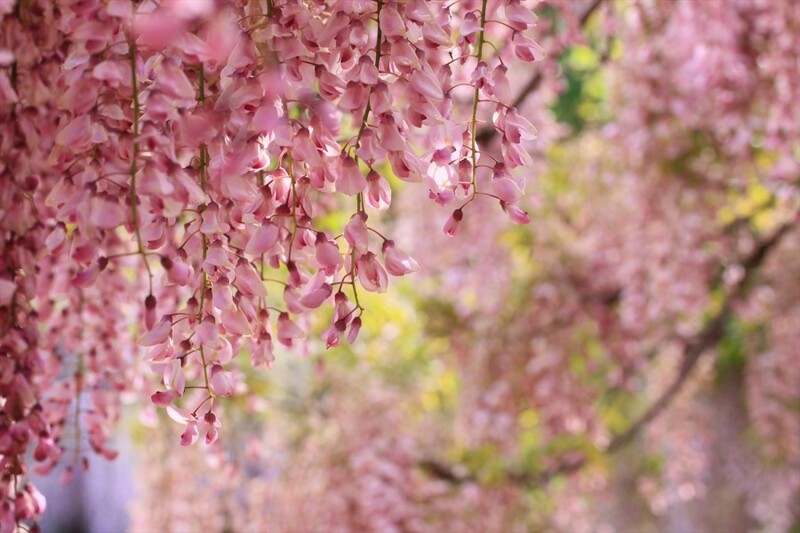 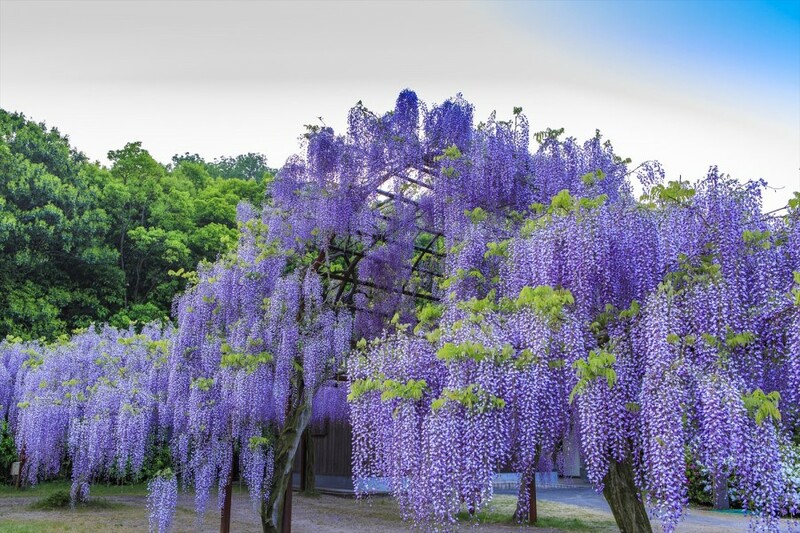 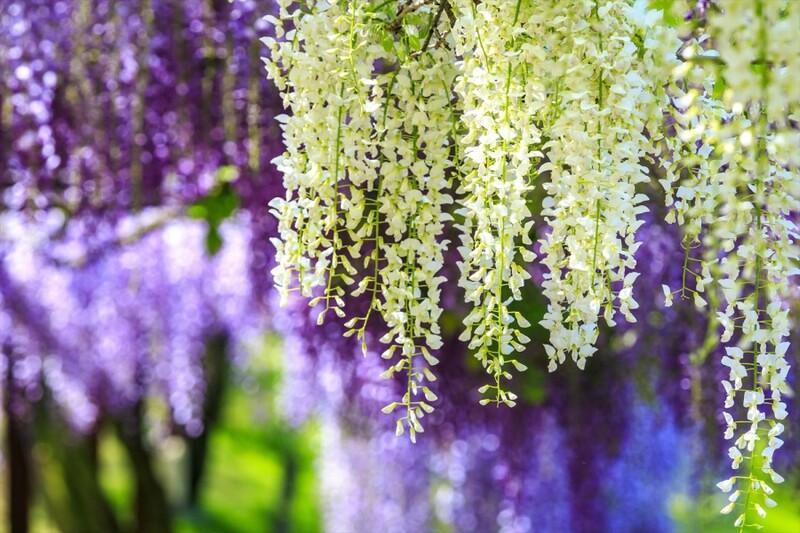 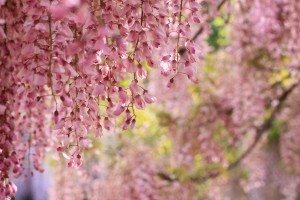 Visitors will also enjoy the park’s uncommon pink and white wisteria as well as flower bunches hanging down more than a meter in length. 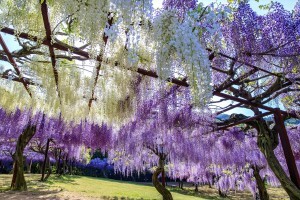 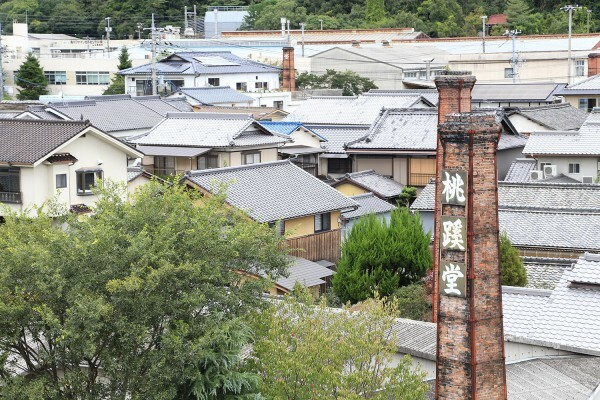 5 min by taxi from JR Wake Sta.